Dialogue plays an important part in connecting your readers to your story. Good dialogue helps a reader hear the voices of your characters and creates an additional layer of context and tone. But, effective dialogue doesn’t, and shouldn’t, mirror every day conversations. In our daily speech patterns, we stammer, stall, get distracted, and often end up talking about things completely unrelated to our original intent. Effective dialogue, like the rest of your writing should endeavor to say what must be said as efficiently and quickly as possible. When characters speak, they must have a motivation for every single word. If your dialogue does none of these, you might consider cutting it entirely. If it does only one, try to develop the context or the purposed for the dialogue to accomplish two or three. While there are no steadfast “rules” in writing, especially when it comes to dialogue, there are some things to keep in mind when creating the voice of your characters. The flavor of the words we use help to color our character interesting. Utilizing accents and dialects can be a great way to add a layer of richness. But, if a reader cannot easily understand what a character is saying and must read and re-read their words, it pushes them out of the story instead of pulling them further inside. If you read this out loud, you can probably figure out what this character is saying, but it isn’t easy to decipher. Instead, consider using other methods of sensory writing to create a hint of the voice you are trying to create and trust the reader to hear it. He pushed his straw hat further back on his head and spit. “I don’t much like me no city boy with your fancy pants and your fancy hair.” He tucked his thumbs behind the over-sized belt buckle that sat half hidden under his rounded belly. I could practically smell the chicken-fried steak and pickles on his breath. John sat down and looked at Penny. “How are you today, Penny? I did not see you at the meeting, Penny. You must be sick,” John said, and hailed the waiter. “I will take one hamburger, one order of large fries, and one large diet soda. Dialogue that doesn’t feel authentic won’t work for your readers and makes your characters sound robotic. To combat this, try reading your dialogue out loud. Does it feel like it flows naturally to you? Does it sound like something you would say or hear? Here’s the same scene, redone in a much more natural way. Just like in exposition, pacing can have a huge impact on the effectiveness of your dialogue. If your character is upset, long, whimsical, wordy sentences don’t support his or her emotional state. Use the strength of your verbs and the length of your sentences to heighten tension and create urgency. High conflict and tension should see short, quick sentences. On the flip side of things, during those soft and tender, poignant scenes, don’t hurry the reader through with a bunch of shot, clipped sentences. 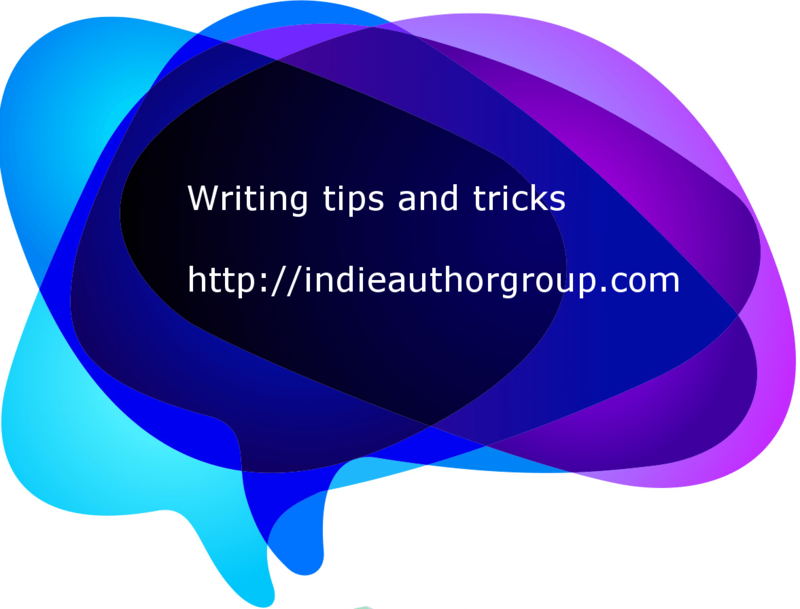 Use the timing and rhythm of the dialogue to help enhance the mood. The pursuit of clarity sometimes results in the overuse of dialogue tags. But too many dialogue tags has an impact of flow and authenticity. “How about a cup of coffee?” the waitress asked. “Yes, that might be nice,” Sally replied. “Okay, I’ll get that right out to you,” the waitress quickly blurted out with a smile. “Thank you,” Sally chimed, smiling back. All of those tags do help to make sure it’s clear who is speaking, but they also slow the conversation down and create a very mechanical rhythm when reading. We have to remember that our readers are used to dialogue and are quite able to follow along. Once you establish who is speaking, use dialogue tags sparingly. The only exception to this “rule” is if you have multiple characters in a scene. It then becomes important to use dialogue and action tags effectively to keep the reader from getting confused. But even then, we should strive to structure the dialogue to use as few as possible. And don’t get overly exotic with your tags. An occasional deviation from “he said” or “she said” is okay, but when your characters start chiming, barking, bellowing, growling or regurgitating, it’s probably time to consider using other methods to create the mood or texture of the dialogue. One final thought on tags: adverbs don’t make dialogue better. Don’t fall into the trap of using an adverb to create tone. If she said it lovingly or he said it angrily, chances are there are specific facial expressions, body language, or actions that go along with the dialogue. Use these other indicators to show vs. tell the reader how your character is feeling. Movies and television are a great place to study good dialogue, but you have to remember that on screen actors say so much more than just simple words. They create subtext through the use of expression and body language. All of those unspoken bits are just as important as the words we use when creating dialogue and it’s up to us as the writer to create the image we want the reader to see. And just like the pacing and the specific words we use have an impact on tone and mood, so does the subtext and body language of the characters we create. Simon sat down quietly at the table and folded his hands in his lap. He shook his head and looked up at his wife. She stood beside him, filing her nails and blowing bubbles with her gum. Does this feel authentic? Do Simon’s actions and body language support the idea that he has just been betrayed by co-worker? That he is now looking at possible criminal charges? And what about Jenny? Do her actions demonstrate how upset and worried she is? Actions and facial expressions should match the mood of the characters. And every action and nuance should have a purpose. He looked up at his wife. Her usually bright and smiling face now darkened by fear and worry. Her dark grey eyes filled with tears. Good dialogue really can be the key to letting your readers crawl inside the pages of your work and feel the emotions, motivations, and nuances of your characters. And when the time comes to give your characters a voice just remember these three simple goals: seek clarity, but don’t sacrifice flow and rhythm, match the words and subtext with the motivations of the character, and strive for authenticity. Fiction lover and copy editor, Veronica is the founder of First Page Last Page, a feedback, design, and marketing company dedicated to supporting indie writers. She is currently entrenched in research for the year 1778 for her first full-length historical fiction novel. Next story E-book formatting 101. When you’re new to this all.